Here We “GROW” Again!! FE #103 Grand Opening! Come help us celebrate the Grand Opening at FE #103 in Waycross, GA on 3/21/19! We’re super excited about the BIG day. Ribbon Cutting will be at 10:30 and Grand Opening Celebration will be from 11-3! Hope to see you there! 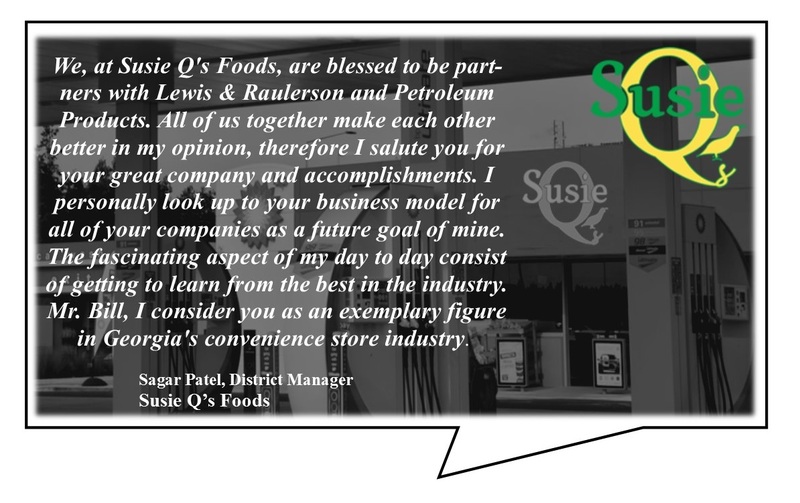 Its always nice to hear positive feedback from our customers. Lewis & Raulerson, Inc. and its family of companies are grateful for the opportunity to serve such a fine company. 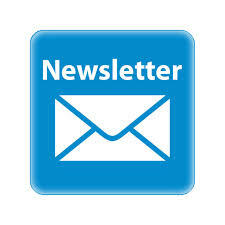 Lots of great things happening at Lewis & Raulerson, Inc. Take a look! 2018 Business of The Year!! 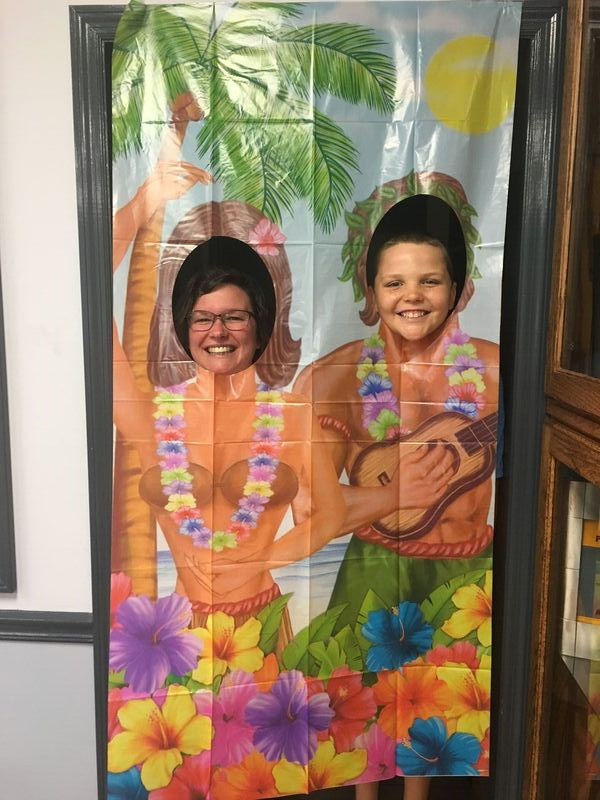 2018 Business of The Year! Congratulations to our fearless leaders and all team members on a job well done. 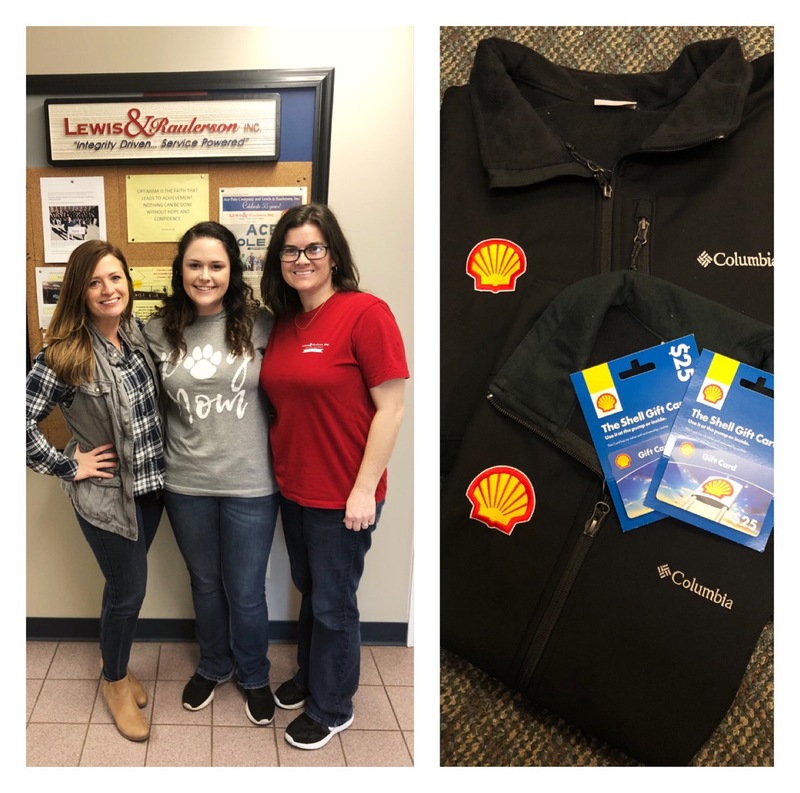 Lewis & Raulerson, Inc. has been a wholesale fuel distributor since 1938, supplying light products, distillate and lubricant needs throughout the Southeastern United States. Lewis & Raulerson, Inc. is committed to its customer’s needs with quality service and products that conform to mutual agreed requirements. In order to meet this goal, we will consistently work to exceed customer expectations regarding quality, service and value. We will accomplish this goal by a total commitment to excellence throughout our company and by performing our jobs right the first time, every time as planned. Lewis & Raulerson, Inc. believes in giving back to the community. Lewis & Raulerson—Friendly Express Charitable Foundation’s commitment to our community goes well beyond providing the support and jobs that fuel economic prosperity. The company supports a wide range of charities and initiatives that strengthen the communities where its employees/customers live and work. 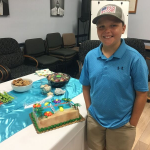 These include everything from health care for underprivileged children, food banks for the homeless, to a charitable golf tournament in November that raises money for local charities like the Magnolia House, GA Baptist Children’s Home and Dreams Come True, to name a few. Over the past 18 years, the foundation has raised over $1,000,000. We take pride in giving back to the community. 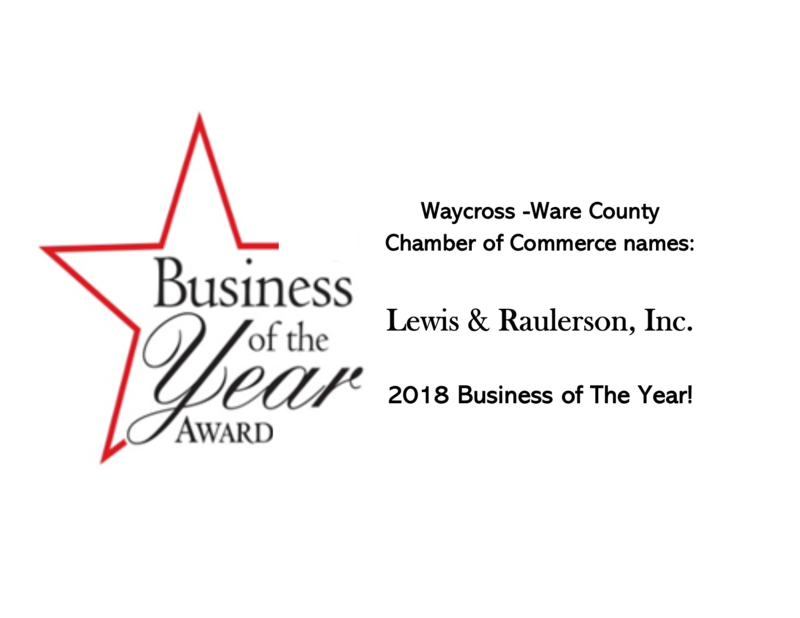 Lewis & Raulerson, Inc. donates to Waycross-Ware County Chamber of Commerce! Its Fueling Friday and we believe in fueling our community. Lewis & Raulerson, Inc. is proud to sponsor the 84th Annual Banquet “Community of Hearts”. Event Details: Friday, February 1, 2019 – Items are being collected for the silent auction. Call the Chamber to reserve your seat or donate to your community. 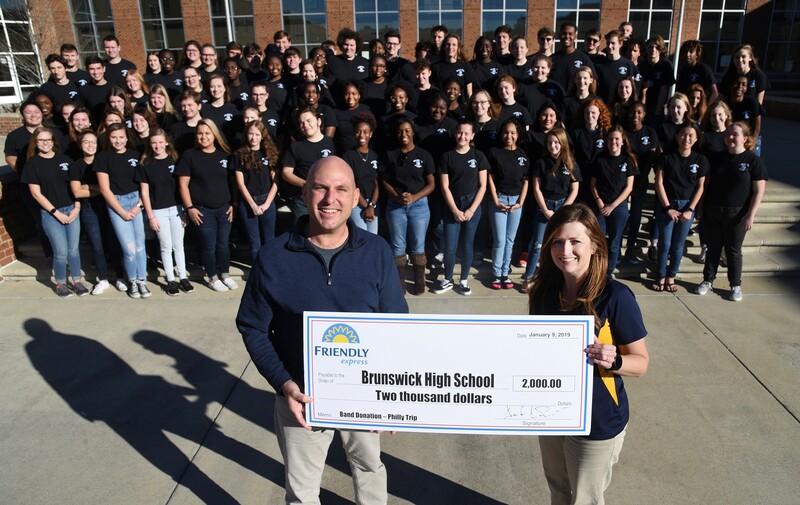 Friendly Express gives back to Brunswick High School! Brunswick High School band director John Birge accepts a check from Friendly Express executive assistant Casey Hall to help fund a band trip to Philadelphia to march in the Thanksgiving Parade this year. Friendly Express is challenging other businesses to step up and match the donation. 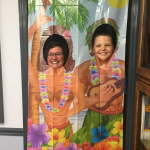 Teamwork means more than just working together at Lewis & Raulerson, Friendly Express and PSG…its means coming together and making a difference for a greater cause. Not only is this team a powerhouse of professionalism, they are dedicated and driven individuals representing the 18th Annual Lewis & Raulerson – Friendly Express Charitable Foundation. The Foundation has raised over $1,000,000 since its humble beginnings in 2000. The Foundation continues to grow leaps and bounds due to the generosity and dedication of all participants, volunteers and sponsors. A sincere “THANK YOU” to everyone that made this day possible. An official press release will be made in the coming week. 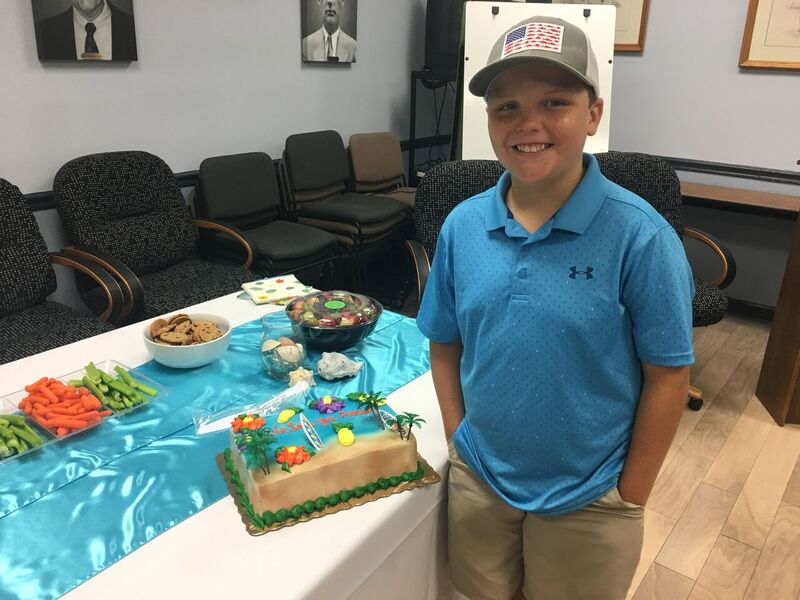 18th Annual Lewis & Raulerson – Friendly Express Charity Golf Tournament – Another Successful Year! 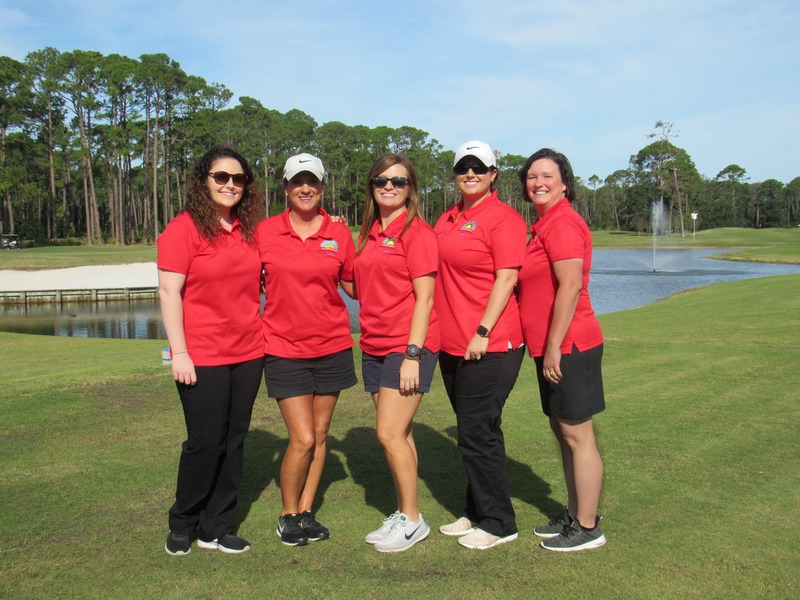 The Lewis & Raulerson – Friendly Express Charitable Foundation held its 18th Annual Golf Outing Thursday, November 1st, 2018 at the lovely Jekyll Island Golf Club. The Foundation has raised over $1,000,000 since its humble beginnings in 2000. The Foundation continues to grow leaps and bounds due to the generosity and dedication of all participants, volunteers and sponsors. A sincere “THANK YOU” to everyone that made this day possible. An official press release will be made in the coming weeks. 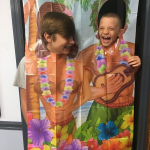 Every year, thousands of families are given the news that their child has a life-threatening illness. Many of them live right here on the First Coast. For these families, life is instantly changed. Lewis & Raulerson – Friendly Express are proud to partner with Dreams Come True to fulfill a child’s dream each year. 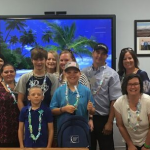 Dreams bring hope and light to families facing some of their darkest days, and can give these amazing children the strength to defy the odds. 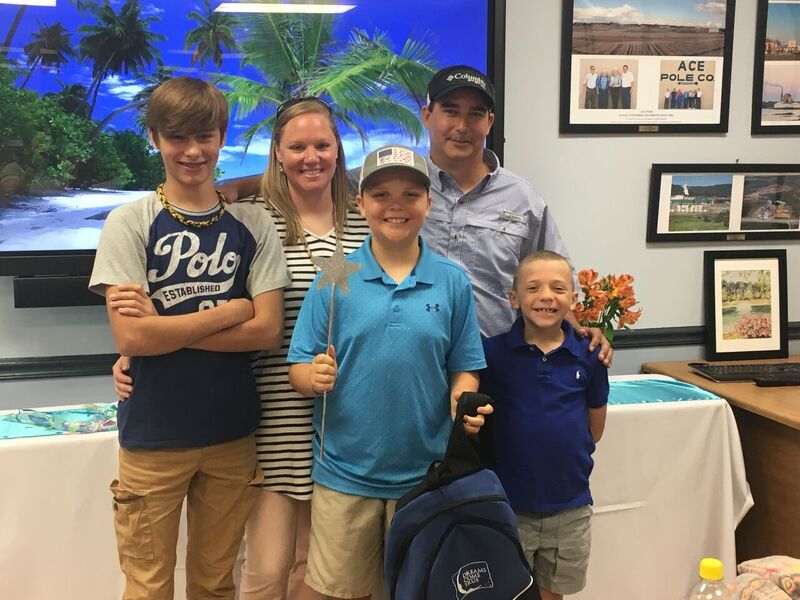 Lewis & Raulerson – Friendly Express Charitable Foundation was able to send Aaron and his family on their dream vacation with the donations raised from our annual Charity Golf Tournament. 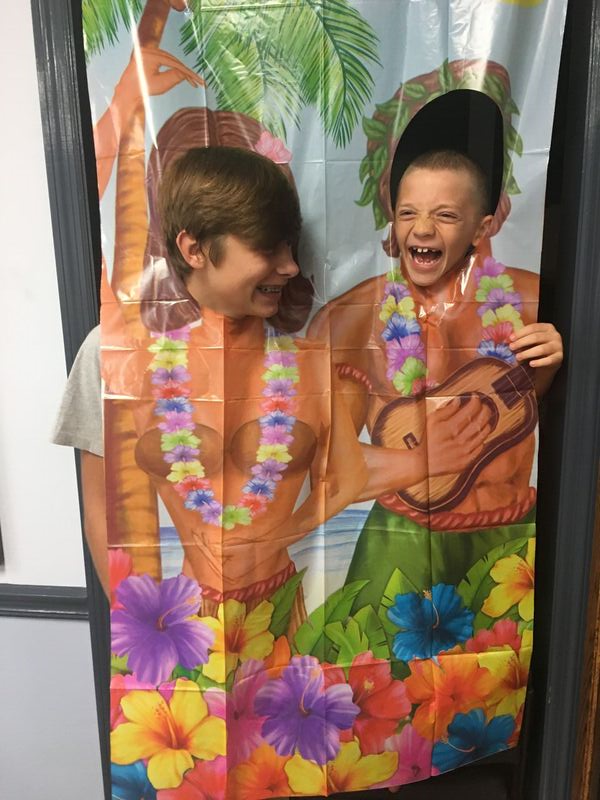 We wish Aaron and his family a vacation full of laughs and good memories. ITS GETTING HOT OUTSIDE! GRAB A DRINK…HELP FIGHT HUNGER! Its getting hot outside! 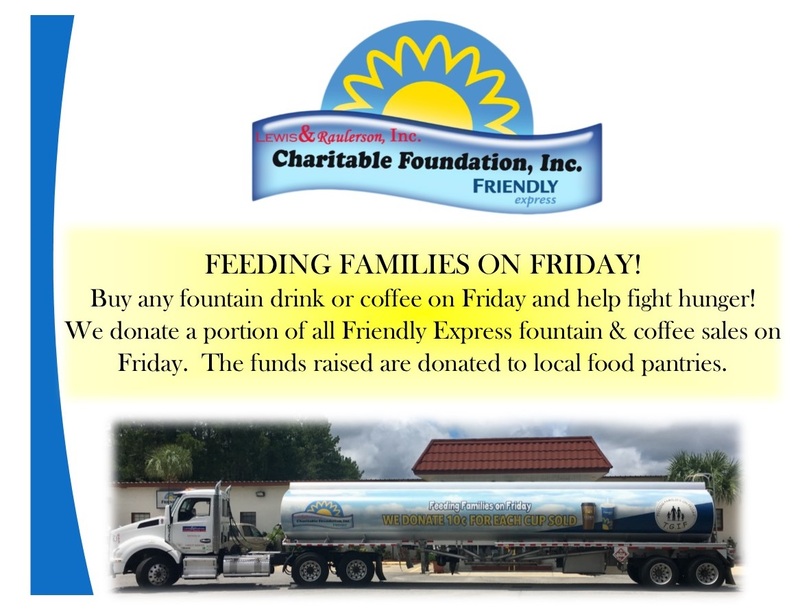 Don’t forget to purchase your ice cold fountain drinks from Friendly Express and help fight hunger.